With Readly you can read Just Jenson and thousands of other magazines on your tablet and smartphone. Get access to all with just one subscription. New releases and back issues – all included. 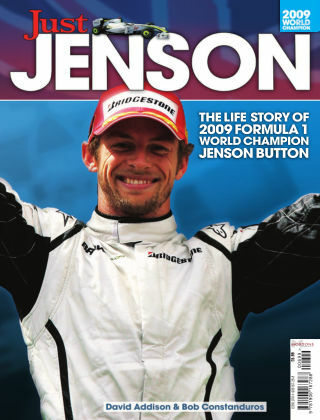 For motorsport fans everywhere, this quality ‘bookazine’ charts Jenson Button’s life story from the tough and unforgiving circuits of the karting world to his defining moment when he took the 2009 crown as Formula 1 World Champion. Just Jenson is the perfect companion to the motor sport racing year. This insightful and appropriate tribute to Jenson Button is brought to you by renowned magazine publisher Mortons Media Group. Written by David Addison, motorsport journalist and commentator with Bob Constanduros, F1 fanatic and auto correspondent; they have brought a wealth of knowledge to the title. Jenson’s career has seen many highs and lows, and until that 2009 glory he had been fighting for the F1 championship for 10 years. His decision to stick with his former BAR Honda Team principal Ross Brawn in a new team paid off, wrapping up the title with even a race to spare. Just Jenson encapsulates all of this magic and much more within its 132 pages. Editor David Addison said: "Jenson Button’s season was quite extraordinary after a disappointing few. To be staring the end of his career in the face the previous December to being World Champion in less than 11 months was unprecedented in Formula 1 and is a story worth telling. The Button tale is one of successes and disappointments, but culminates with biggest high of them all, all of which are featured within this bookazine."